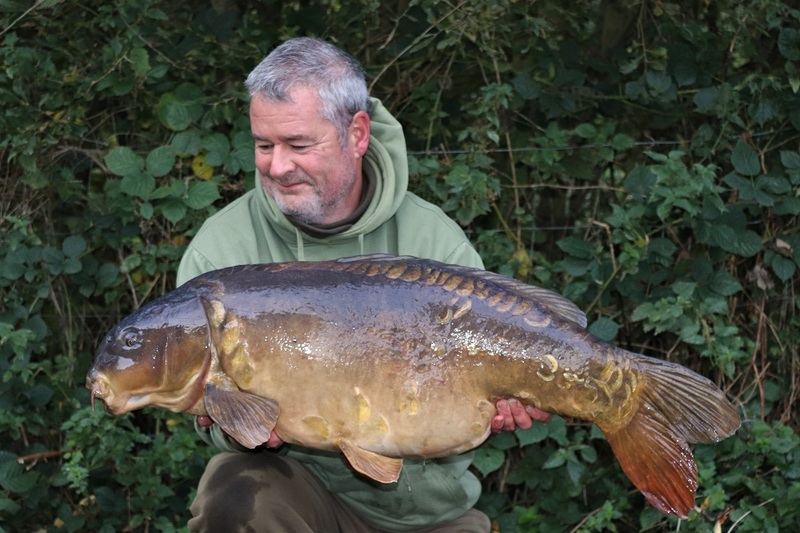 Specimen fishing ace Tony Gibson looks back on a successful autumn campaign targeting big fish. Last summer didn’t really want to give up too easily and early autumn continued to be really warm and so for a start I carried on enjoying my carping sessions while the action continued. Both the bottom fishing with small amounts of CompleX-T and smaller hookbaits of 12mm CompleX-T straight out of the bag, tipped with a piece of plastic corn, or zig presentations, with pieces of foam positioned in the upper layers, kept a pleasing number of bites coming my way. September and October produced some lovely carp with commons to mid-30’s, but the highlight was a mirror of 41lb that was fooled by a zig presentation, using a decent sized chunk of grey foam, cut into shape and carefully squeezed into a red version of one of the plastic zig-aligner type presentation aids. Getting the hooklength at just the right length to correctly position the bait at the right depth is important to get the best out of the zig fishing; in this instance the crucial depth appeared to be just a foot or so below the surface. With relatively light lines, small hooks and a long hooklength, it can lead to a few ‘fun and games’, especially when netting fish on your own, so it was a relief to see this finally slip over the net cord after a protracted fight. One of the other memorable carping sessions during that early autumn period was an invite to go carp fishing on the Carp Society’s lovely Horseshoe Lake in Gloucestershire. I’d been asked to be interviewed as part of one of the Society’s Carp Radio programs and it made sense to use the opportunity to fish Horseshoe while I was going over to do the recording at the Society’s HQ which is based right by Horseshoe Lake itself. On the nights either side of the interview itself I had the chance to get the rods out and therefore I arrived in plenty of time prior to the first night to have a good look around before plotting up. I eventually settled for the Boat Point area, that provided lots of open water out in front to make use of. Generally, the pit was quite weedy, but the marker rod revealed a large clean area directly in front, with the weed just starting to show itself again at a range of about 80 yards, before becoming thicker again further out. With the wind as it was, I could just about manage to cast a couple of hookbaits and spomb out a generous helping of bait at the 80-yard area accurately enough to hopefully get the best out of the tactic. Both hookbaits were 12mm CompleX-T tipped with flavored plastic corn. 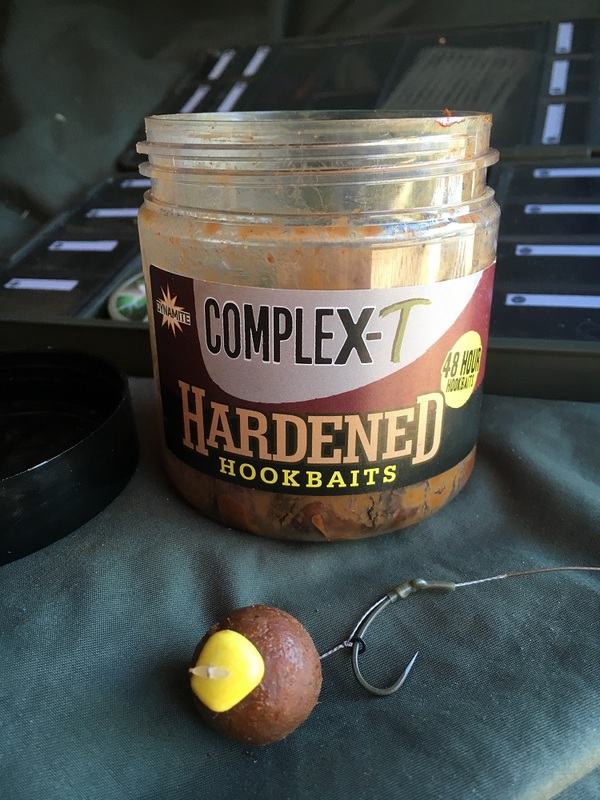 The left-hand hookbait was tipped with white corn soaked in green-lipped mussel flavor and the right-hand tipped with yellow corn soaked in blackcurrant and betalin. 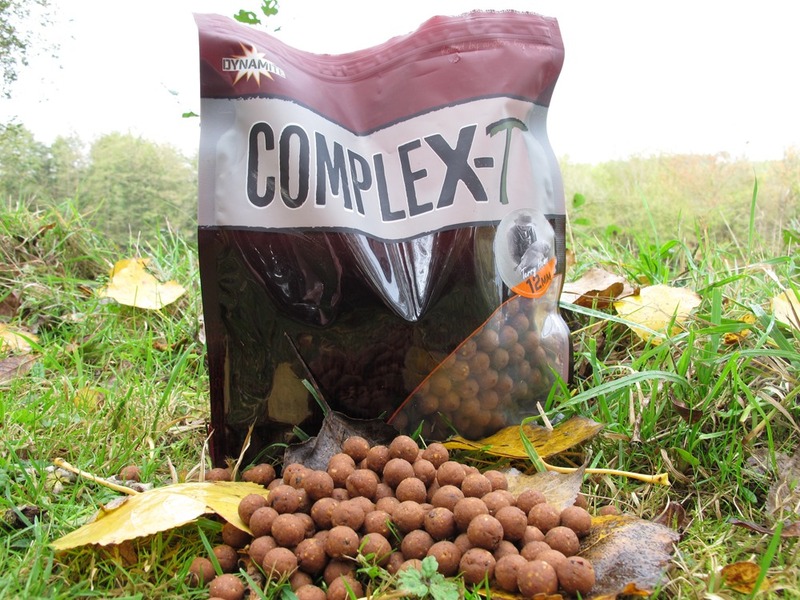 The bucket of spod mix consisted of a generous amount of Frenzied hempseed, with a tin of XL Corn and loads of chopped and crumbed CompleX-T mixed in and half a bottle of CompleX-T liquid attractant added to it. The evening period was quiet, apart from the odd carp showing itself in the general area. In fact the day’s exertions must have tired me out, as I was tucked up in the bag fast asleep when suddenly the alarm for the left-hand rod screamed off and I found myself playing my first ever Horseshoe carp. Over the years I’d seen plenty of photos of the lovely heavily scaled carp that the lake was well known for, so I was rather hoping that I was attached to one of those. However, I was surprised to see a carp completely lacking in scales of any sort when I finally netted my prize. I wasn’t disappointed though, as I’ve had very few true “leathers”, and although it wasn’t a big fish at only 17lb I was well pleased and set about getting the camera gear sorted to do a few self-takes. It was while taking the photos that another carp decided to pick up the hookbait attached to the remaining rod, so the photo session came to an abrupt end as I had to quickly return the “leather” before I could properly deal with the run. However, it all ended well and without any more drama I’d soon netted another carp, a little larger than its predecessor. Realising that I had a bit of a feeding spell going on, the last fish was unhooked and returned as soon as possible, and I had both rods re-wrapped, re-baited and cast back out to the spot as quickly as I could. Before too long I was ‘away’ again on the left-hand rod, but sometime during the fight I started getting indications on the other rod, leading me to believe that I’d got the line on the fish I was playing wrapped around the mainline on the other rod. Trying to do a bit of rod juggling in the dark to untwist the lines didn’t appear to make any difference in the ever increasing insistence from the indicator on the other rod that something was going on. I eventually concluded that I’d actually got a hooked fish on both rods and my attempts to unravel things in the dark may have actually just been complicating the issue. Fortunately, I was eventually able to bundle both fish into the landing net and managed to get them both unhooked and returned without any harm. My mainline on both rods certainly didn’t look very healthy though, as I’d managed to get them knotted together into a proper tangle and after several minutes attempting to unravel the whole mess, I had to admit defeat and take the scissors out. Re-tackling and sorting things out just to get one rod back onto the spot seemed to take an age, so I concluded that one rod would be the best option until dawn when a little light on the matter might make things easier to cope with. As it happened it seemed like the fish had had enough of my antics and had drifted off anyway… and that was the last of my action for the session. 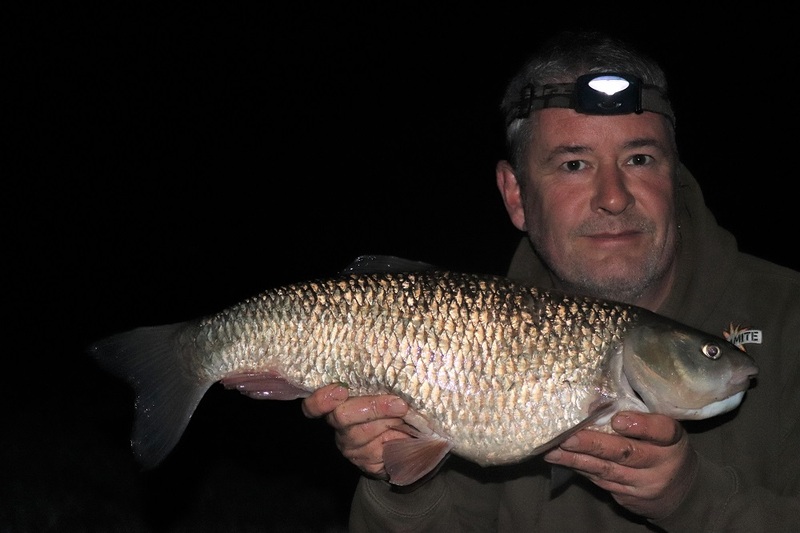 Once some cooler weather started to appear my thoughts turned to the river fishing opportunities and especially the chub fishing on the River Great Ouse. I’d enjoyed plenty of success during the previous two autumn/winter periods using CompleX-T both in boilie and paste formats for my chub and barbel fishing and I couldn’t see any good reason to make a change from a winning formula this time around. I planned on fishing a combination of areas of the river that I’d fished the year before and a few new stretches. I chose to make a start on some of the stretches that had produced some nice fish in the past, so a few visits to the river to reacquaint myself with the lay of the land and to introduce a bit of bait, were made while on my general travels. Any baiting up was relatively straightforward, as it was a simple case of just walking a stretch and introducing about a dozen 15mm boilies into any likely looking swim or area. The whole task is made easier by the fact that I have complete faith in the self-life version of the bait and can therefore keep a couple of packets of bait in the car for whenever I need them. Both the shorter hooklink and heavy lead/bolt type method and the longer hooklink, lighter lead and quiver tip styles of fishing can be effective with the chub (and barbel), but the method I get most enjoyment out of is striking at bites on the quivertip, so this is usually my preferred method whenever I think it’s viable. Even when chub are the main target I never fish too light though, as there’s always the chance that one of the remaining big old barbel that the river was once famous for might make a special guest appearance, so it’s worth being prepared for such an event. My first chub trip proper to the river took place around mid-October and I was rewarded with almost instant success, with a handful of fish over the 5lb mark finding themselves taking a turn at the bottom of my landing net over the duration of my usual late afternoon to late evening session. The largest chub, weighing in a 6lb 12oz, was a fish that I recognized as catching at a similar weight from the same stretch the previous year. Successful tactics was to fish with a 12mm CompleX-T boilie straight out of the bag on the hair, tipped with a piece of buoyant artificial corn. 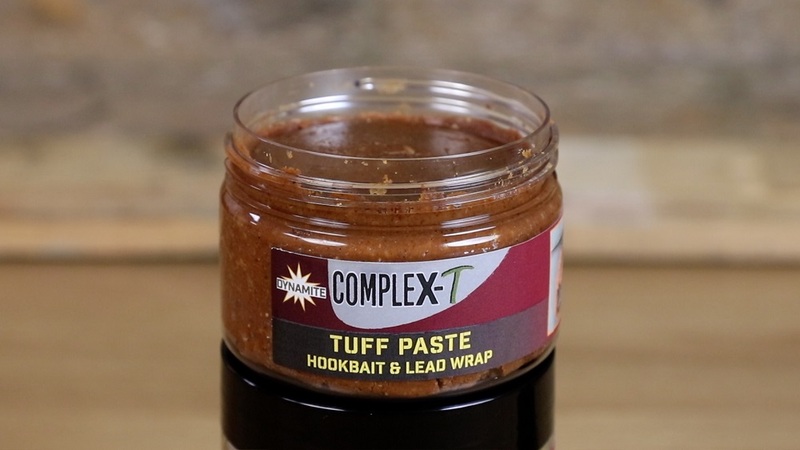 This is fished tight to the hook and given a thin CompleX-T paste wrap, with a thumbnail sized piece of paste wrapped around the lead as well to help pump out plenty of added attraction in the immediate area of the hookbait. With the early success of the chub from a familiar stretch of river already ‘under my belt’ I was keen to explore some of the other areas of the river that I hadn’t visited for a while. I like to make a few trips to relatively out-of-the-way un-pressured stretches, as it adds to the excitement when you’re never really sure what you might catch. It can (and does) lead to some pretty slow fishing at times, especially as some of the stretches are unpressured simply because other anglers have experienced the fact that there aren’t many fish to be caught. However, this can all add to the challenge for me, and the previous winter it led to my capture of a huge 15lb 15oz barbel, a fish that I’m not aware of being caught either before, or since. Therefore, during late October and through November I made the effort to visit some of the more remote and relatively un-fished stretches, both just for a little bit of baiting up and some evening fishing sessions when the opportunity presented itself. Thankfully, this process again provided a nice result, as towards the end of November I had the first session on a section of the river that I’d visited a couple of times either before or after a session elsewhere, to drop in a bit of bait into the more likely looking areas. Weather conditions at the time couldn’t have been much better, with it being nice and mild and plenty of cloud cover providing just a hint of some misty type rain in the air. Despite not having fished this particular stretch of the river for a few years I was quite confident of some action… and fortunately I wasn’t to be disappointed. The first swim produced a small chub just as the light was fading, but no more bites were forthcoming. A move to another swim produced a confident bite within 10 minutes of casting out and the resulting strike met with firm resistance. A spirited fight eventually resulted in a long, old and battle scared warrior of a chub, that looked as though he might have weighed significantly more in his prime. However, I certainly wasn’t displeased when a careful check on the scales told me that he still weighed in at a stunning 7lb 2.5oz. My first 7lb+ chub from the river for a few years. 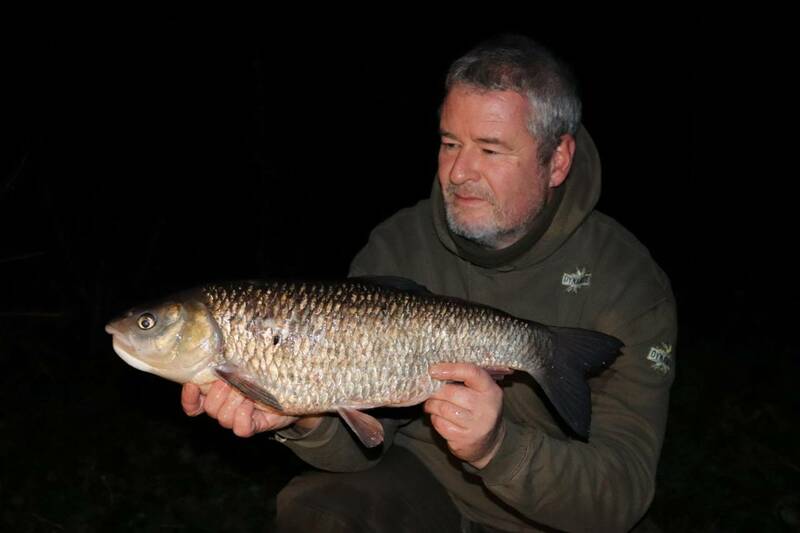 A few more moves to different swims produced another fish of 6lb 1oz and a final chub weighing 5lb 14oz shortly before midnight. A “5”, a “6” and a “7” in one evening; definitely a session to remember! With a nice mild autumn eventually turning colder and reminding us that winter was finally on its way my thoughts started to turn to a bit of predator fishing. I also fancied spreading my wings a little and trying out some other rivers and different venues. I’ll let you know how things worked out in my next piece.